CIANJUR (Indonesia) Hambali might be Asia’s most dangerous terrorist but back home he is widely remembered as a quiet young man who excelled in his studies and showed interest in Islam and politics. Hambali is not his real name but his nom-de-guerre. 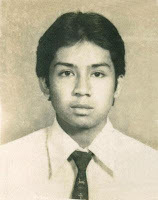 According to official records, Hambali was born Encep Nurjaman on April 4, 1964 in Pamokolan, a small town here, about three hours' drive south of Jakarta. “He was a smart person, his English was superior, his knowledge on religion was intensive and he paid a lot of attention to his friends,” said Ati Fahriati, who is now a kindergarten teacher, but back in the early 1980s, used to attend the al-I’anah High School with Hambali. English is not widely spoken in Cianjur and other places in Indonesia but young Hambali conversed in English with his English teacher. Hambali also turned out to be a natural leader among his peers. Al-I’anah is an Islamic school where students are required to attend not only regular classes but learn the Quran and Arabic. The students conversed daily in Sundanese – the language of the major ethnic group in this part of western Java – which was also spoken by Hambali, himself a Sundanese. 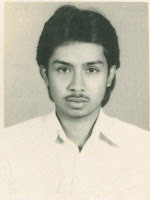 His school report showed that he was an above average student when graduating from al-I’anah in July 1983 with scores of eight in Islam, English, Physics and Chemistry, and nine in Arabic out of the maximum 10. He averaged 7.6 in Mathematics, Sports and Hand Crafting. Hambali is currently known as a chief strategist of the Jemaah Islamiah (JI) terrorist network. He was formerly a leader of Mantiqi One – a JI brigade whose territories include Malaysia and Singapore. He was arrested in Thailand on Aug 15 and is being held in a secret location by the US authorities. According to the International Crisis Group, a think-tank based in Brussels, Hambali was the head of Mantiqi One until early last year, when he was replaced by Mukhlas, another JI leader now facing trial in Bali. Hambali himself became the overall head of JI’s four mantiqi (regions), according to Hashim bin Abbas, one of the Singapore JI detainees. Prior to joining al-I’anah, young Hambali attended the Manarul Huda Islamic boarding school for nine years and learned to read Arabic and recite the Quran. “He finished reciting the Quran when he was in grade four, or maybe grade three,” said Hindun Maksum, Hambali’s aunt who is a teacher at Manarul Huda and taught Hambali to recite the Quran. Manarul Huda was established in 1936 by Hindun’s grandfather and it was only natural that Hambali went to study there. Hambali enrolled in al-I’anah in 1980. Hindun remembered Hambali as a quiet young man who was never involved in a brawl. “He was friendly, not a troublemaker, and rather quiet, maybe because of his background from the village,” said Aip Saripudin, another classmate who used to share the same classes with Hambali between 1980 and 1983. Fahriati recalled that Hambali had regularly received a news bulletin from abroad. “I have never seen it myself but probably from Iran. He was an avid reader and knew politics better than his peers. Hambali insisted that his argument was correct. “It’s true. One day it will be proven. Pak Harto is the Pharaoh of Asia. The Pharaoh was indeed rich just like Suharto,” he had said. “Pak Harto” is a reference to President Suharto, Indonesia ‘s authoritarian leader, who ruled from 1968 to 1998. A few weeks after graduating from al-I’anah, the 19-year-old Hambali told his parents and relatives that he was going to work in Malaysia, just like many other Cianjur citizens. He assured his parents that he would financially help his younger siblings. Most friends never met Hambali after his 1983 departure. Hindun said Encep only returned to Cianjur in 1990 for one week and later in 1995 along with his young Malaysian wife, Noraliza Abdullah. “He said that he was doing some businesses in Malaysia, selling batik and other goods,” Hindun said. What Hindun did not say was that Hambali had told his siblings and probably other relatives that he was also involved in training and “jihad fighting” in Afghanistan since 1987 just like other senior JI members in the late 1980s and early 1990s. In Malaysia, Hambali met two Indonesian radical religious leaders, Abdullah Sungkar and Abubakar Ba'asyir, the co-founders of JI, who fled Indonesia in 1985 and internationalised their activities from Malaysia. Hambali took a new name in his Malaysian permanent residence permit: Riduan Isamuddin. The three of them shared the same housing compound in Sungai Manggis, Banting, Selangor. Both religious leaders actively sent their students “to study” in Afghanistan and Pakistan to fight the Soviet occupation in Afghanistan. Fahriati said in an interview that she had learned about Hambali’s Afghanistan experience from his siblings, who told her about their big brother’s sagas. Hambali’s relatives and some teachers, however, still doubted if Hambali is their long lost Encep Nurjaman. “Hambali is not Encep. His face is not similar. If only one knows Encep, the teenager, who never involved himself in trouble, one will realise that it is very unlikely he is Hambali,” said Hindun.